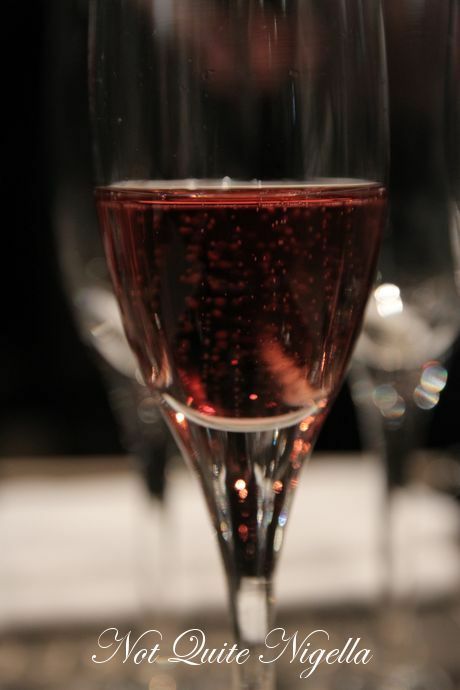 Did you know that every glass of champagne has 21 million bubbles in it? 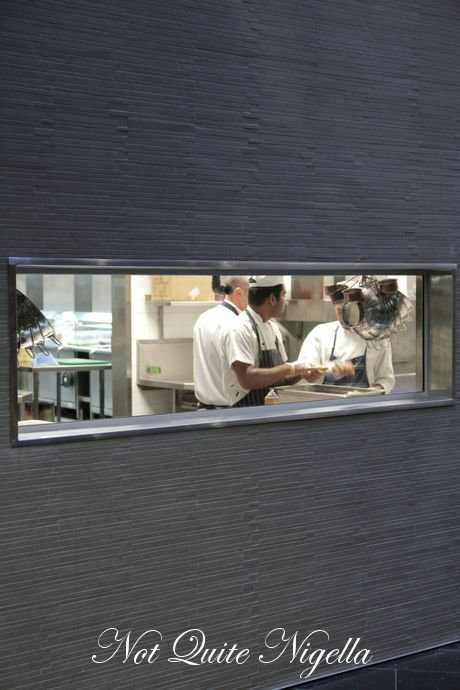 And did you know that there are 2000 million bubbles in the average bottle of champagne? No? 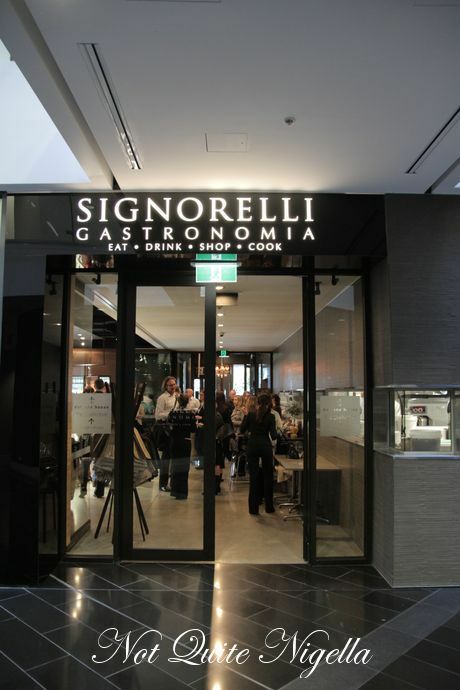 Neither did I until I attended Champagne Jayne's Champagne class at Signorelli Gastronomia in Pyrmont. And given that that it's New Year's Eve I thought it was the perfect time to tell you all about champagne. 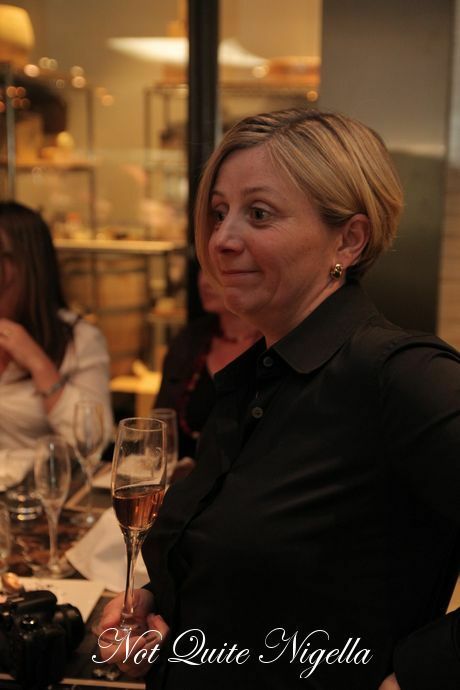 Champagne Jayne is a walking encyclopaedia of Champagne knowledge. Throw any question at her about champagne and she'll give you the answer. 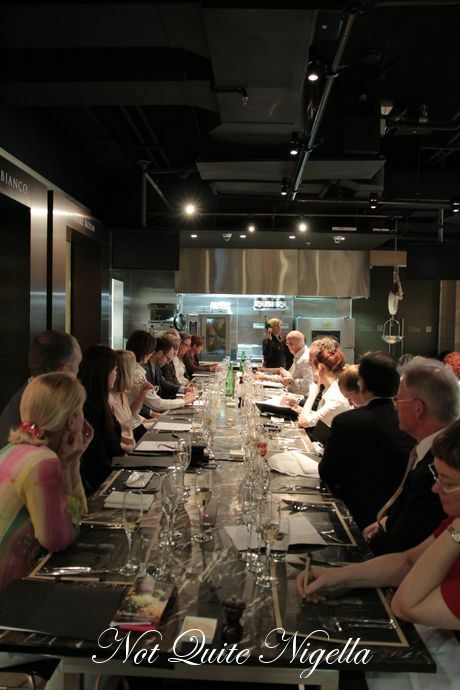 And tonight she is holding a Talk and Taste session as part of the Sydney International Food Festival. 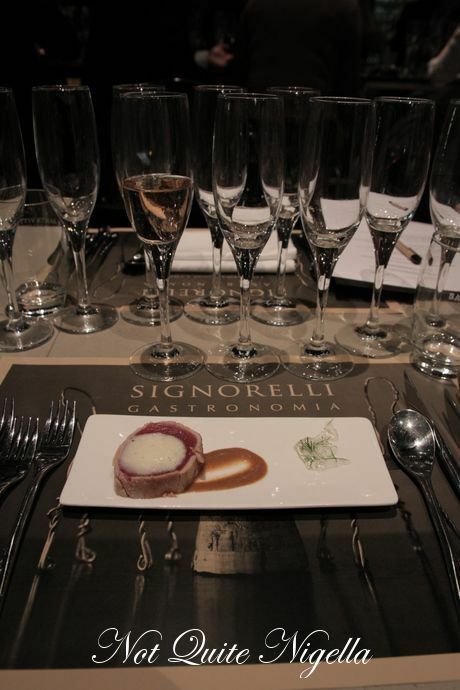 We are to taste five sparkling wines and champagnes which are all food matched to little morsels of goodness from Signorelli Gastronomia's chef Sarah Jewell. On each seat we have a folder with notes on the food we are about to eat and the champagnes and sparkling wines we are about to drink. Jayne starts off by explaining that we will be trying three sparkling wines and two champagnes. The prices of the sparkling wines and champagnes will be revealed to us at the end of the evening as she wants us to judge them on their taste. First things first. How do you open a bottle of champagne without embarrassing yourself or taking out someone's eye? A champagne cork releases at 90 miles an hour and Jayne tells us that there are six atmospheres in each bottle. So with this is mind, firstly you take off the foil. Then with a thumb on the top you twist the muselee (the metal collar) 6 times. Then with your hand on the top of the cork, twist the bottle until it is released with a pop. Jayne explains the basic process of making champagne. Grapes are crushed and then react with the yeast outside of them and this produces carbon dioxide and when this is done is an enclosed vessel this creates bubbles. Wine is made in open containers so that the CO2 disperses. Technically any grape can become champagne but in 1937 they chose three main grape varieties: pinot noir, pinot meunier and chardonnay which make up Champagne today. Any grape variety can be made into sparkling wine though. Our first dish is a seared yellow fin tuna topped with a fluffy prosecco sabayon, muscatel puree and a clear dill jelly. 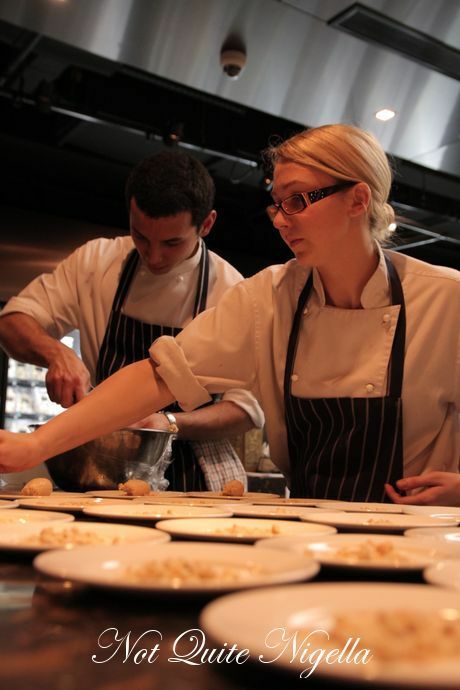 Chef Sarah Jewell explains that the sabayon was actually done in a cream gun. 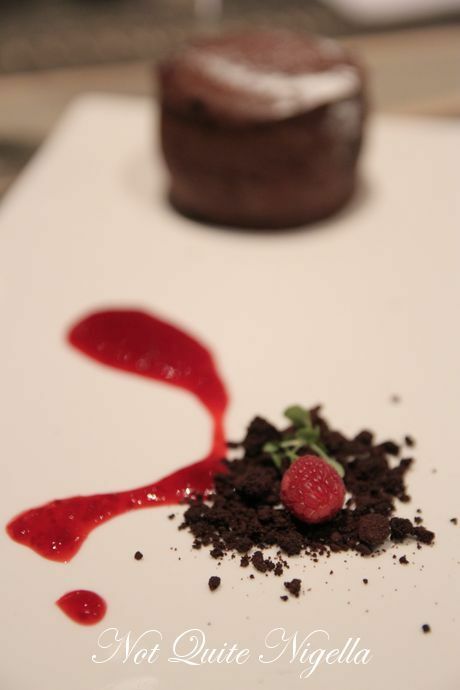 When all of the elements are mixed in together it becomes balances with the fragrant dill in the unsweetened clear jelly and the thick muscatel puree. 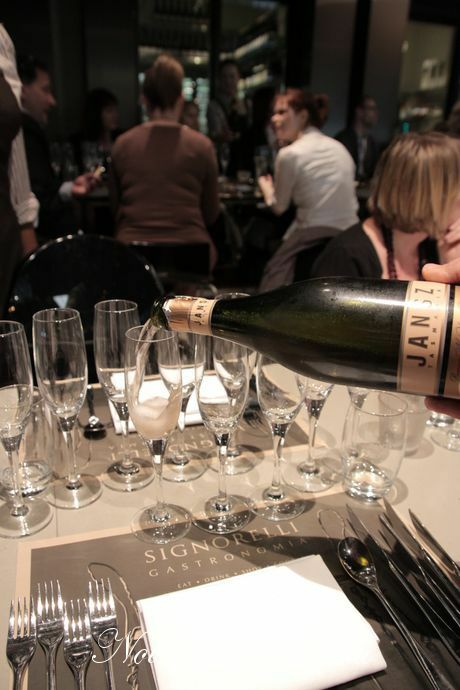 The Jansz sparkling wine (pronounced "Yansz") is a joint venture between Louis Roederer and Jansz. 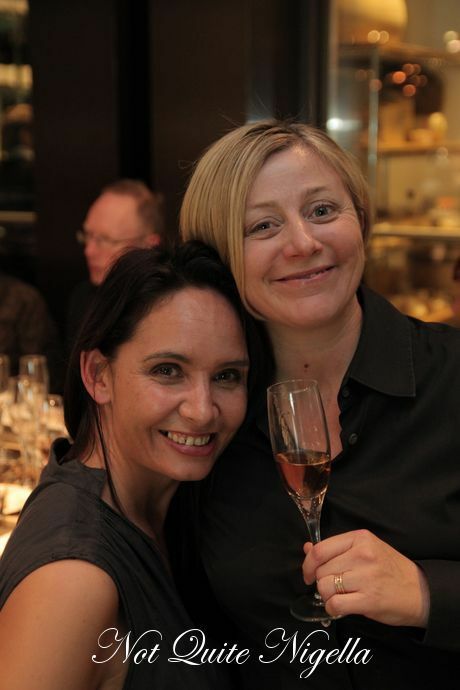 Since 2001 Natalie Fryar has been their award winning wine maker . The cured ocean trout mousse was a very interested dish indeed. Thicker than a mousse and with the consistency of a triple cream, it was buttery yet studded with small pieces of cured ocean trout. 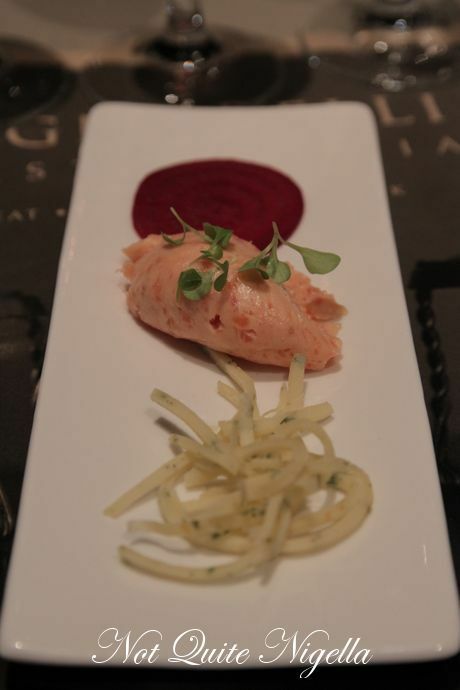 The crepe was thinly sliced into long strips and it is paired with a single sliver of pickled beetroot. Again when the elements are combined, it really comes together. In between courses Jayne comes around and chats to people. 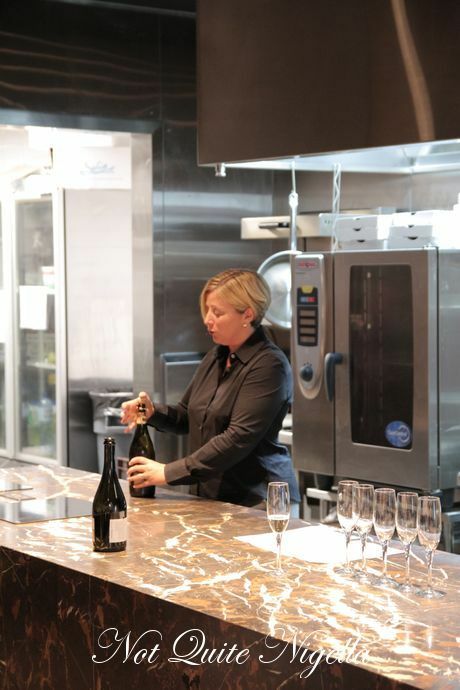 She also tells us that taking a sip of cold champagne once poured gives a different taste from taking a sip of champagne that has been left to sit in the glass to warm up. More characteristics come out once it warms up and flavours can change. Chilling can also help mask faults with the champagne. 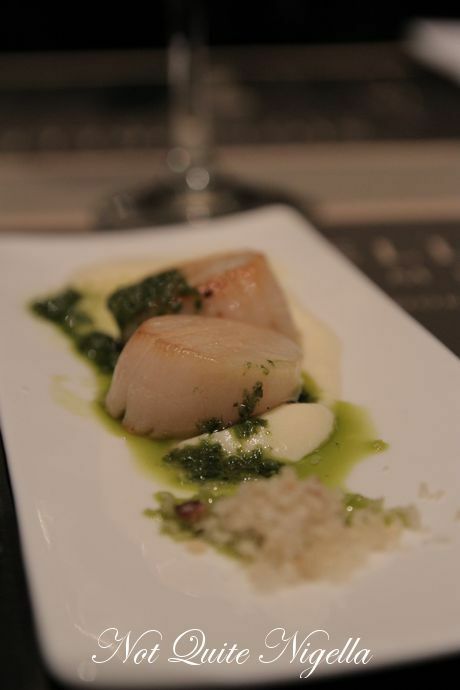 This dish had an interesting array of textures from the juicy, plump scallops, the crunchy panko crumbs, smooth cauliflower puree and basil pesto. What is really interesting is the New Zealand Lindauer which she tells us will shortly stop being produced. She also tells us that when it is first poured it does a "pretty good imitation of champagne". This was by far my favourite course, not just because I adored the organic champagne which has no preservatives that I tend to react to, but also because of the foie gras custard. 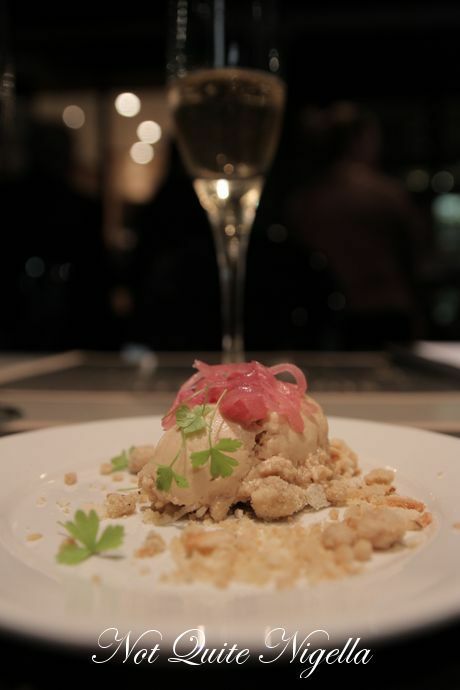 The foie gras custard (genius idea) is made using ethical foie gras which means that instead of force feeding the geese, they keep them "at a constantly gluttonous state" and feed them corn which allows them to put weight quickly. It is paired with an ever so slightly and crunchy onion jam and sweet cookie crumbs which all combine beautifully together. The organic champagne is made using biodynamic grapes and is all done by hand. The story behind the wine maker is interesting too. Women play a large part in the Champagne industry as it is so labour intensive that the whole family has to get involved. Carol Duval Leroy took care of the champagne making while her husband Jean-Charles took care of selling the champagne. He died from cancer but before he passed he asked all of his business partners to support his wife which they did. She took back the brand and made it an organic wine using 100% certified organic pinot noir grapes. 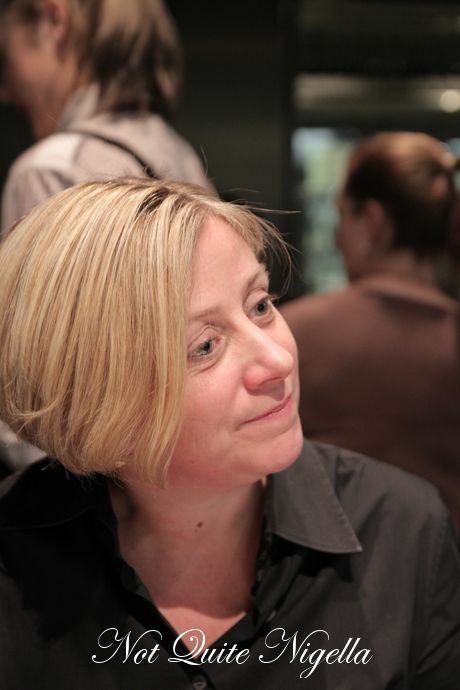 43% of her employees are woman and she has the only female Cellarmaster in the region of Champagne. 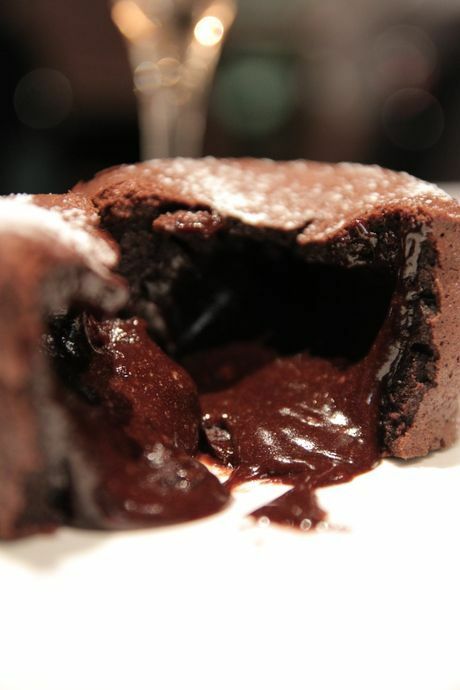 The chocolate budino is a molten chocolate cake with a gooey, runny centre of chocolate served with a raspberry coulis and a fresh raspberry. It is also huge so I can't get through it all try and want as I might. Jayne tells us that rose champagnes are always a little more costly as producing a rose requires a few more steps in the process. 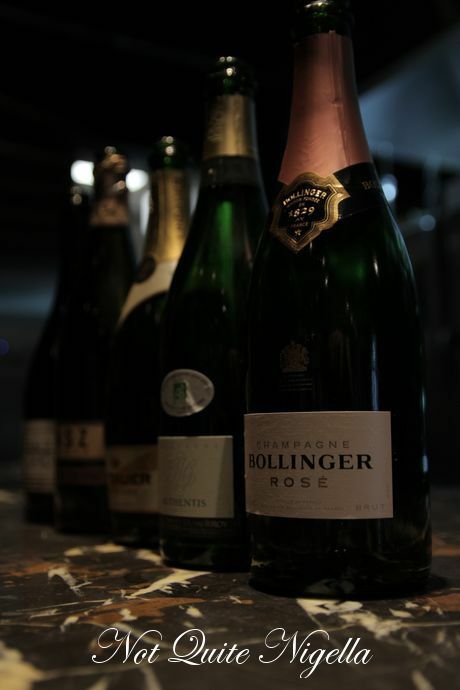 Bollinger was founded by a German and since 1973 it has been James Bond's champagne of choice. Everyone votes for their favourites with a show of hands and most like the organic champagne. I personally did not go for the sparkling wines very much as they left a strong after taste on my palate whereas the champagnes didn't. Which leads Jayne to tell us the price ranges for each. 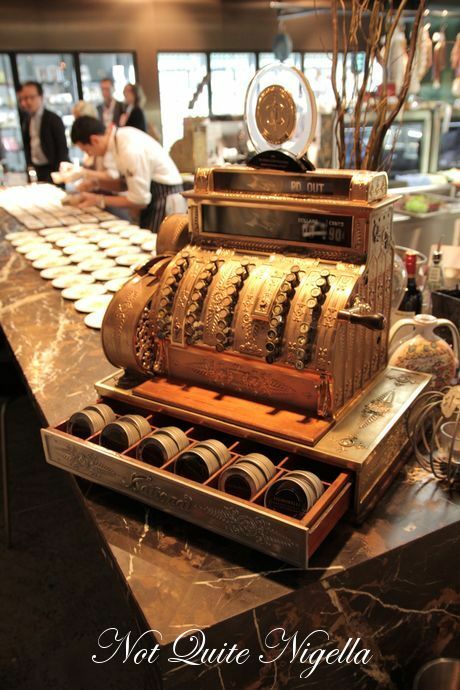 In order of tasting, the Jansz is between $21-$28, the Valformosa is $30, the Lindauer is $15, the organic Champagne Duval Leroy is the most expensive at $175 (damn! that was my favourite! :( ) and the Champagne Bollinger Rose is $160. I also ask Jayne about alcohol allergies as that is something that plagues me and I get very hot and flushed and drunk very easily. She explains it in detail "Wine allergic reactions such as skin rashes and /or wheezing relate to the presence of sulfites in the wine you're enjoying. Sulphur compounds occur naturally on growing plants such as grapes, and the use of additional sulphur (in the form of sulphur dioxide) is important in the wine-making process because it prevents organisms growing in the wine, and prevents maturing wines from turning to vinegar (by slowing down yeast growth). Sulphur is often referred to as the "band-aid" of winemaking and if you're sensitive to sulfites, (which is particularly common in asthmatics) then the sulfites in wine will act as an irritant causing your airways to contract and bring on an episode of wheezing and other asthmatic type symptoms. Excessive sulphur (found in cheap mass produced white wines, especially sweet ones) can easily cause nasal congestion and eye irritation in any normal wine drinker who overindulges! Another potentially significant allergy factor in champagne and sparkling wines is the presence of tyramine - which is a natural by-product of the yeast fermentation process. Tyramine can cause allergic reactions such as dizziness, rash, itching and even swelling and stomach cramps. In some cases what may initially appear to be a wine allergy is actually caused by a deficiency in aldehyde dehydrogenase, the enzyme which enables the human liver to break down and process alcohol in the body. Sometimes referred to "Asian flush" syndrome, because its known to affect almost 50% of the Asian population, you'll already know if you fall into this category, because literally every time you touch a drop of any alcohol (not just wine), you immediately begin to flush deeply before experiencing rapid heart rate and potential dizziness - and pretty soon you feel like you already have a hangover! These days there is a special pill you can take before drinking to minimize Asian flush side-effects, but the best trick in the book is to naturally build up your resistance by enjoying discreet amounts of champagne on a more regular basis! If youre unlucky enough to experience any of the other side effects detailed above, please dont despair of champagne - just experiment with more natural style champagnes labeled no added sulfites" such as Drappier from the Aube region, or organic champagnes such as Duval Leroy Authentis." Isn't that good news and Happy New Year my lovelies! May your 2011 be a wonderful one! So tell me Dear Reader, what do you hope 2011 holds in store for you?